Why not just make it easy? Wear this. 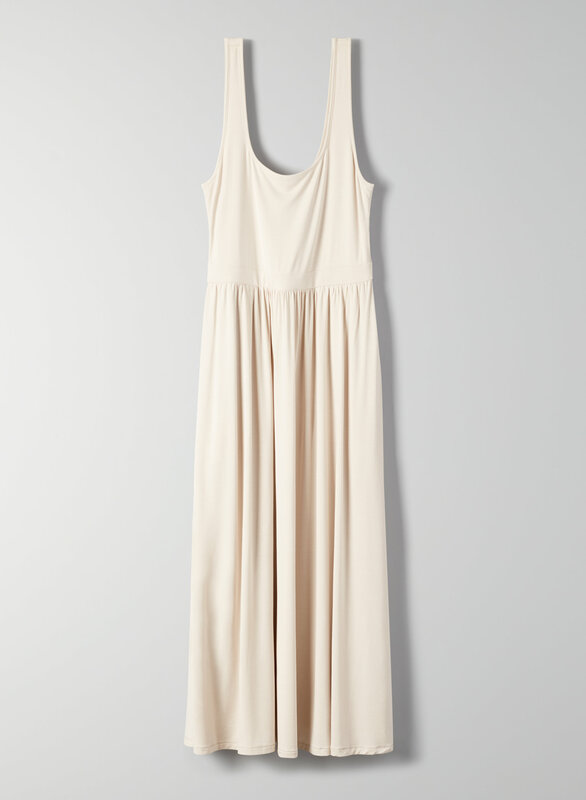 This is a sleeveless dress with a fitted bodice and A-line skirt. It's made with a soft, drapey jersey.